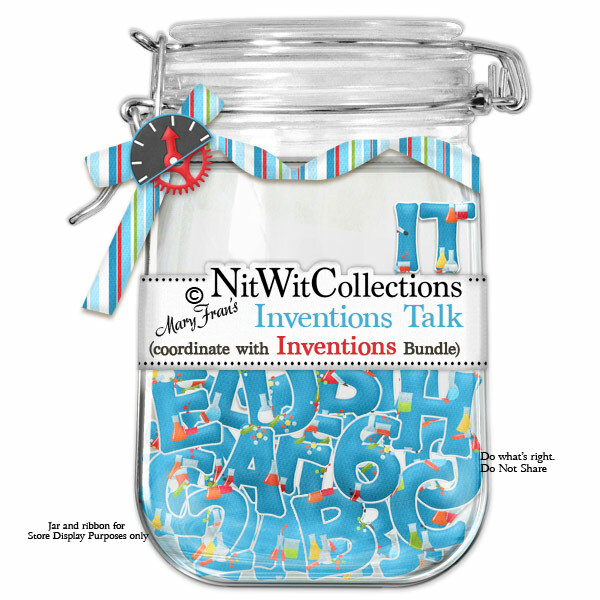 "Inventions" Talk blends so well with this kit to use to highlight your titles, words, dates, and more on your creative scrapbook layouts and card ideas! Begin mixing in this alpha today....we promise it won't blow anything up!! 1 AlphaWit set of uppercase letters, &, exclamation mark, hyphen, question mark, quotation mark and set of numbers (0 to 9).